Our church was organized 2 years ago,but was a mission for 7 years. The church was originally a part of Bible Baptist Church of Malate under Ptr. Belmonte. Because of doctrinal imbalance,most of the church members became alienated with the new practices and teachings being introduced by the compromisers. The church was split in half. But a core group of men and women stood for the truth and contended for the faith.And a man of God was chosen to lead. Pastor Allan was just a song leader then. But God handpicked him to be the leader and Pastor of the church. At first , they held services in hotels,to feed themselves with the Word of God. Until one day they decided to ask for authority from a well-known Pastor from Manila. But they were booted ,rejected, and scolded. 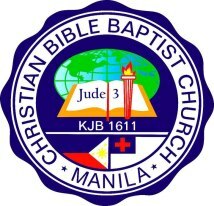 Unable to get the proper authority from a baptist Preacher in Manila, they decided to ask Pastor Ed Laurena of the CBBC San Pedro for the much needed authority. The good Pastor never turned his back from them, "Because the problem is doctrinal, I accept you." ,said Pastor Ed Laurena. And named Pastor Allan as the Mission Preacher. Now the church boasts a 250 attendance on Sunday mornings, and construction is going on for the church building.What a blessing!